What kind of Attribution Models does Divvit use? Divvit offers various attribution models including our own machine learning multi-channel marketing attribution model. 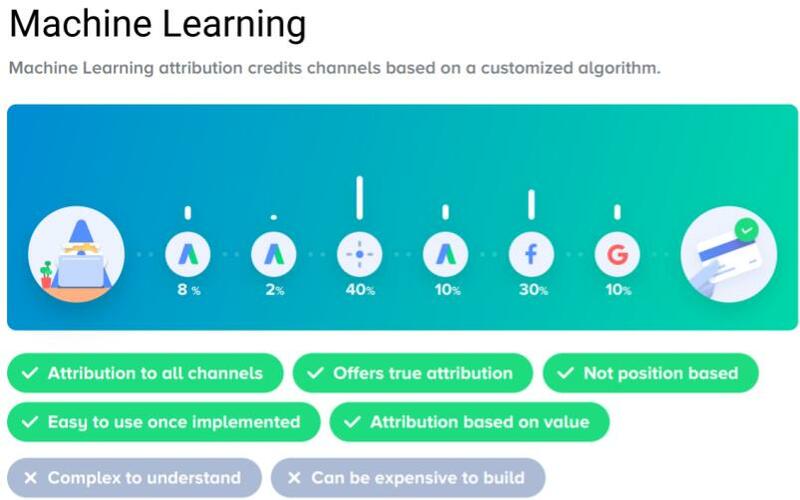 Machine learning multi-channel marketing attribution model: attribution is given to each channel considering the visit's position in the buying process, time on site, page-views and checkout visits. While many analytics tools use last click attribution, we can see that this doesn’t show the full picture of the customer journey as we don’t count any channel other than the last channel. However, many marketers default to this model because it’s the easiest to use. While linear attribution has its flaws as well, it’s important to count each and every touchpoint along the customer journey for a better understanding of how your channels impact your sales. We would love to help you. Email us at support@divvit.com and we will help you with Attribution.